Jackson wanted AJ McCarren but was over ruled. Dorsey clearly has the ear of Browns ownership that allowed him to sign Tyrod Taylor over Jackson’s objections. That was a good move because Taylor helped the Bills get to the playoffs. The book on McCarren has mostly blank pages. The Cavs have fallen and can’t get up. Having lost 2 games to the Clippers then to the lowly Lakers, their chances of getting to the NBA finals don’t look good. That is hard for me to say because at one time I was a part owner of the Caves when they were a publicly held company. The Buckeye‘s basketball team got disted by the NCAA. The “New Criteria” for ranking is supposed to devalue the last 10 games. That did not apply to the Bucks. The team stumbled badly late in the season and lost the 1st playoff game in the Big 10 Tourney. The NCAA gave them a 5th seed and a very bad matchup. CB Richard Sherman is a very dedicated man. He will give fits to the Seahawks for years to come. Watch out for the 49ers. They are on the rise but the Seahawks is watching their championship window close. News, Notes & Rumors on Fridays is about the games coming up and Monday on the results of the weekend. My co-host is Samantha Bunten of NBC Sports. Podcasts can be heard on https://fryingpansports.com/radio-show/. Thanks for your support. Bill Smith is a former coach of several semi-pro teams, has officiated both football and basketball, done color on radio for college football and basketball and has scouted talent. He edits https://fryingpansports.com. He has also published several novels on http://www.eBooks-Library.com/Contemporary/ and a non-fiction work at http://www.merriam-press.com/. Follow him on twitter @NNRonDSN to get the schedule of Special News, Notes and Rumors broadcasts. You can hear the previous shows on https://fryingpansports.com/radio-show/. Tonight will be the last regularly scheduled NNR program. Health issues are forcing me to end the show after 3 plus years on the Internet. I would like to thank the regular listeners. I have deeply appreciated your support. Tony Williams Knicks and Giants beat writer for Metro New York Paper joins us to preview the last half of the NFL schedule. Doug Upstone of Sports-Watch.com and 3dailywinners.com joins us to talk about the top college games this week. Tim Bielik Browns, Cavs and Buckeyes beat writer for Loraine Morning Journal joins us to talk about those teams. Howard Bloom of sportsbusinessnews.com joins us to discuss the NHL Lockout. Cleveland sports legend Bob Karlovec joins us to talk about the Browns loss to the Colts. k Cavs and the top 25 in college basketball. Evan Silva of Rotoworld/PFTalk NBC Sports joins us to talk about the first quarter of the NFL season in terms of fantasy football. Brent Sobleski of ESPN & Draftinsider.net joins us to talk about the top 15 teams and the OSU win at Michigan State. Dave Kay of Walterfootball.com joins us to preview the Big 10 and Big East basketball seasons. There will be no show tomorrow but be sure to join us for our Browns/Eagles Post game show Friday 11 PM EDT. Tony Williams Giants and Knicks beat writer for the Metro New York Paper joins us to talk about the games coming up this week. 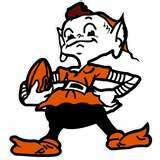 Tim Bielik, Browns and Buckeye beat writer for the Loraine Morning Journal joins us to talk about both teams. Warren McCarty owner of mypassionisfootball and feature writer for National Football Post joins us to talk about his article on the smaller OTs, and the preview Browns/Eagles. Dave Kay, feature basketball writer for Walterfootball.com and the Sportsbank.com joins us to talk NBA and how the trade of Howard will affect all the teams involved. NNR at 6PM EDT follows the Moohead show at 5PM on http://mooheadradio.com/2.0/. If you can not hear the show when Moo ends, press the join event button to hear the show and be able to ask questions of Papa or his guests. The complete archive of the show is available on the Mooheadradio.com front page an hour after the show ends. The individual interviews are available the following day at https://fryingpansports.com/radio-show/. 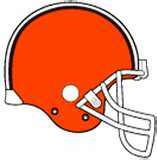 Lew Diamond of LeuieDiamond.com joins us to talk about the upcoming NFL season and what to expect from the Browns. Ken Becks of 1stdownscouting.com/1st down joins us to talk about scouting WRs and TEs and his impressions of the Browns practices so far. Tony Williams of Metro New York Paper joins us to talk about the big stories in the NFL. John Tamari the former Eagles beat writer for the Philadelphia Inquirer joins us to talk about potential Browns team president Joe Banner. Press the Green arrow 5PM on http://mooheadradio.com/2.0/ for NNR.